Transfer money when you want, however you want. MidWest America has several convenient and secure options to move your money. With MidWest Online Banking, Mobile Banking, and Bill Pay you can easily transfer money between MidWest America accounts and non-MidWest America accounts. You can even pay an IOU to your family and friends. *Must enroll in MidWest Bill Pay thru Online Banking. 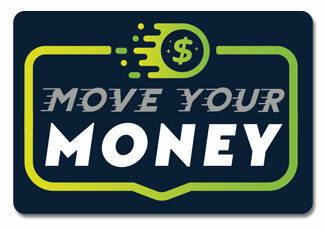 Choose which share you are moving the money from and then select the MidWest America loan you are paying on. Then enter the amount you want to transfer, when you want to send it (now, a specific date or a repeating transfer) and a memo if you’d like. Choose which share you are moving the money from and which one you are moving it to. Then enter the amount you want to transfer, when you want to send it (now, a specific date or a repeating transfer) and a memo if you’d like. This can also be done on Mobile Banking. Once you have setup connection to your external account, choose which share you are moving the money from and which external account you are sending it to. Transactions initiated before 3PM EST are processed the following business day. Then enter the amount you want to transfer, when you want to send it (now, a specific date or a repeating transfer) and a memo if you’d like. Up to 3 transfers are allowed per week not to exceed a total of $1,500. Click here to view a demo on how to set up FI to FI transfers. Use your bill from the other financial institution set them up as a payee and schedule your payment. Choose your confirmed external account and then choose what share you want to deposit into. Then enter the amount you want to transfer, when you want to send it (now, a specific date or a repeating transfer) and a memo if you’d like. *For your security, the capability to setup these transfers must be activated on your account. Contact a Member Service Representative at (800) 348-4738 to get setup. Have a copy of your bill ready when you go to set up your new payee. Once you’ve established your new payee, select the bill that you are paying on and enter the amount you want to transfer. You can also choose when you want to send it (now, a specific date or a repeating transfer) and add a memo if you’d like. Choose which share you are moving the money from and then select Another Member. You will need this members account number and last name to do this type of transfer. Then enter the amount you want to transfer, when you want to send it (now, a specific date or a repeating transfer) and a memo if you’d like. A common example of recurring transfers is family members who would like to frequently transfer to one another. A member-to-member transfer authorization form can be completed to directly link your account to other MidWest member accounts. Please contact a Member Service Representative to get this set up or download the form in our Application & Forms center. Through this service you can set up a payee without knowing their account number. You put in their name, phone number or email address and then your recipient will receive a notification to input their account info to receive the money.